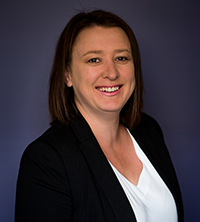 Casey has been a part of the Custom Accounting Team since 2001 and during that time has developed a wide knowledge base covering taxation, GST and superannuation. Her diverse interests make her a valuable part of the CA Team; clients know they contact her at any time to meet their needs. Casey not only focuses on getting the numbers right, but getting to know the people behind them. As a result she develops strong and lasting relationships.